As this year draws to a close, we want to take this opportunity to look back and review what we did right and where we can improve. The best way for us to measure our level of service to our clients is through direct feedback and reviews. This serves not only us but also the social media platforms that have become so important in today’s competitive business environment. One of the most exciting sites for a homeowner is Houzz.com. If you are not familiar with this site, it is a great resource for home-related products, services and vendors. You will find it full of wonderful photos and ideas. Each year the Houzz community selects “Best of Houzz Awards” based on customer reviews. We would very much like to be considered for this award but we need your help. Each review counts as a “vote” and the more reviews, the better! Your time to write a positive review on our behalf on Houzz is very much appreciated. Simply click on this link http://www.houzz.com/pro/doverrug/ to post your review. 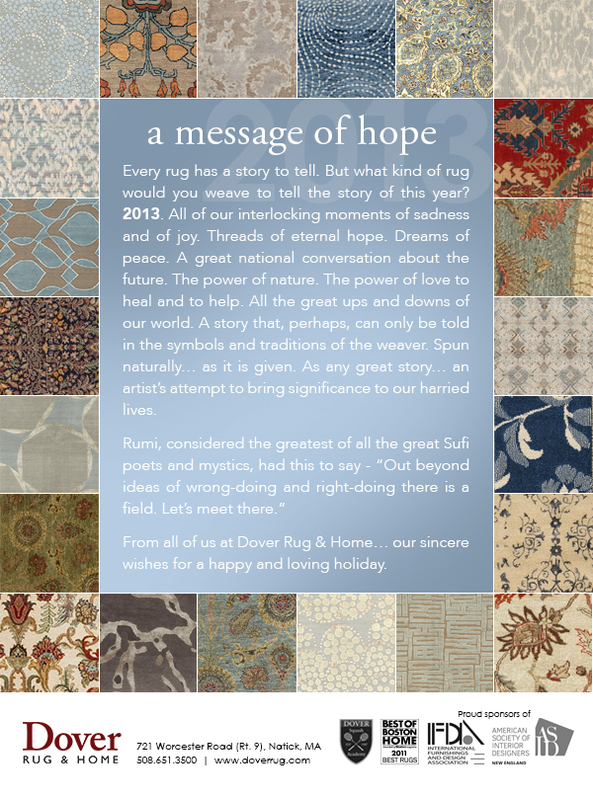 In the meantime, if you have any suggestions on how we might be able to better serve you, please do not hesitate to contact us at Dover Rug & Home.